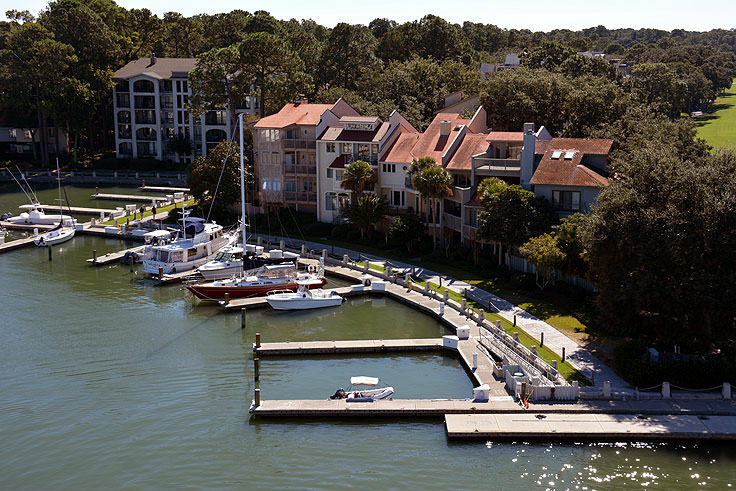 The unique waterfront community of Hilton Head's Harbour Town features a world of activities that are sure to wow and engage visitors of all interests, all while providing a spectacular view of the neighborhood's "harbor," and the adjoining Calibogue Sound. Golf, shopping, dining, tennis, watersports, and boating can all be found in the small but accommodating area, and newcomers will find more than enough activities to keep them entertained for a day, a weekend, or even a jam-packed vacation. 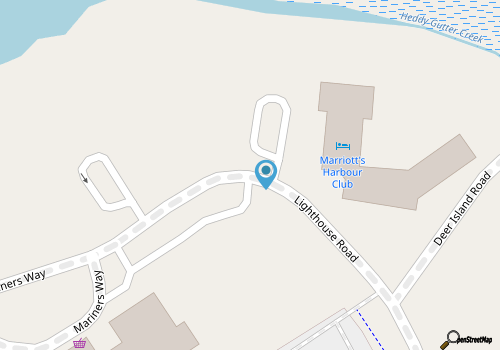 Harbour Town is essentially centered around a wide yacht basin, and comprises of a small collection of two semi-circle roads boarded by a handful of shaded side-streets. After arriving, the possibilities for indoor and outdoor fun and virtually limitless, as the neighborhood offers a wide-ranging suite of different amenities. 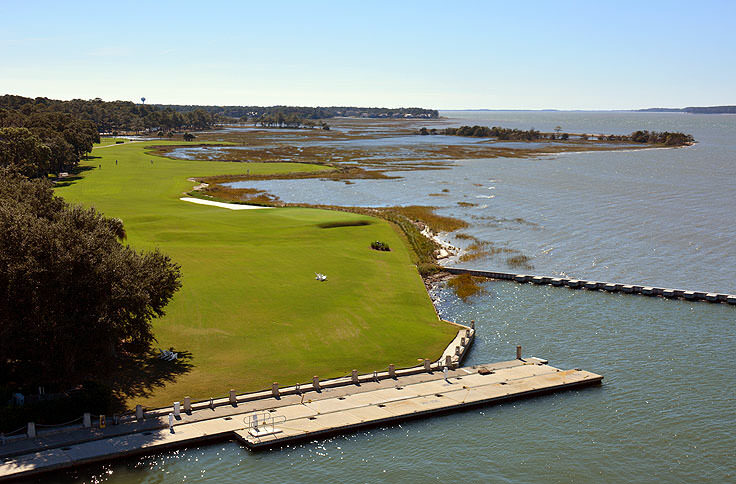 Golfers will want to spend a breezy, sunny day at the Harbour Town Golf Links, one of the most revered golf courses on the East Coast, and home to South Carolina's only PGA TOUR event, the RBC Heritage.Bordering wide marshes, tall Palmettos, and miles of open water views, the course is considered one of the best achievements by acclaimed golf course designer Pete Dye, with a famed 18th hole which is one of the most recognizable holes in the national golfing community. 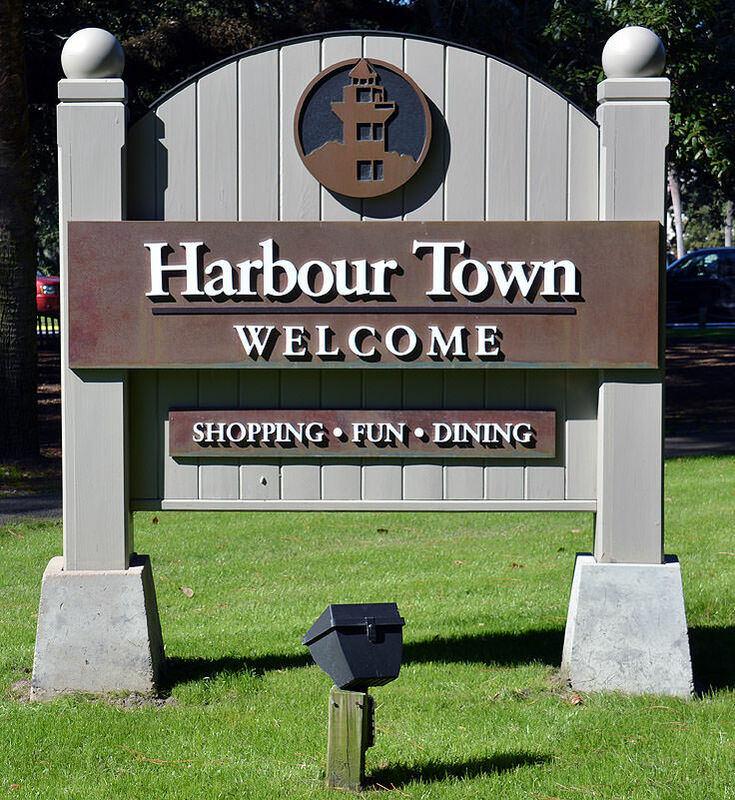 On a cloudy day, Harbour Town visitors can hit the Harbour Town Shops at the Sea Pines Resort, a popular shopping destination which features waterfront views around every turn. 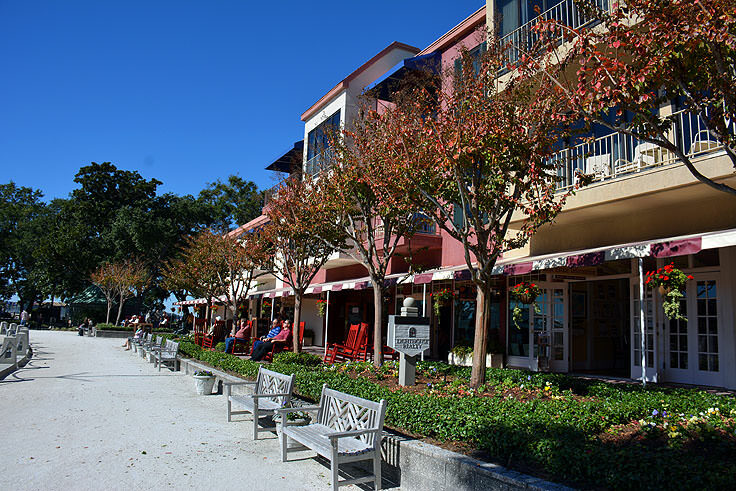 The outdoor shopping plaza features more than 20 independently owned and operated boutiques, clothing shops, gift and craft galleries, jewelry stores, independent art galleries, and T-shirt and specialty gift shops, and shoppers can rest assured that they'll easily find some appealing treasures that can't be found anywhere else on the island. 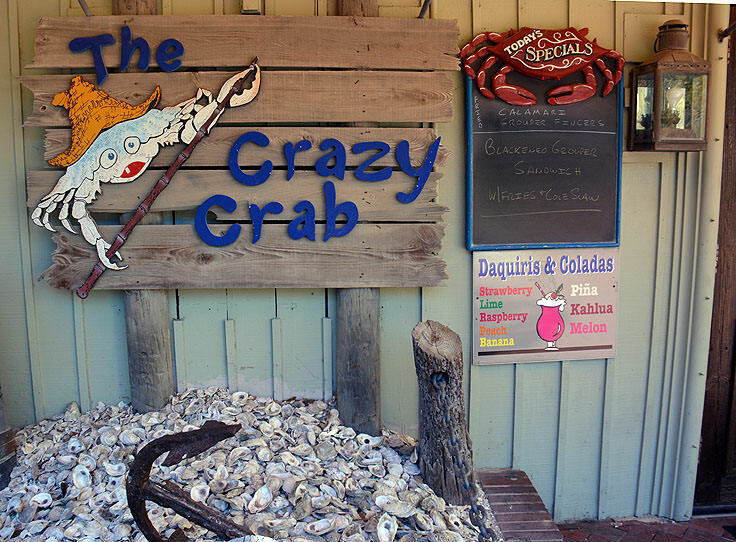 In addition, Harbour Town features a healthy assortment of restaurants which include fresh seafood shacks, local cafes and bakeries, ice cream shops, and fine dining establishments. Newcomers are advised to reserve an evening to take in the incredible views from one of the area's waterfront restaurants, for a fantastic sunset and expertly prepared meal that won't soon be forgotten. 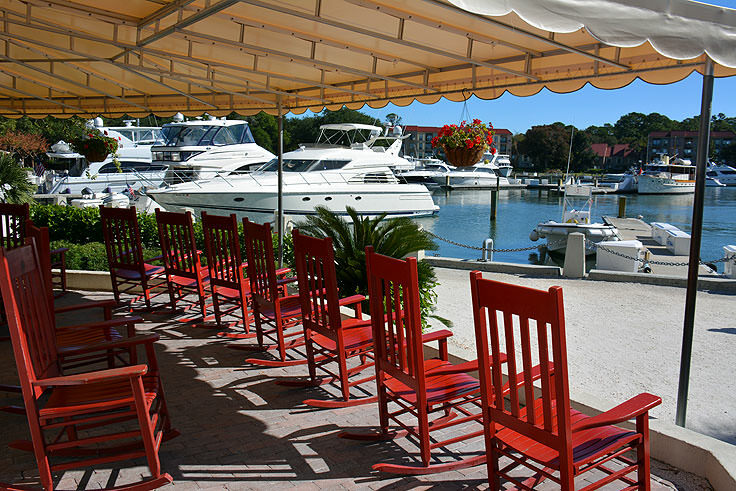 Of course, with such proximity to the Calibogue Sound, it's not surprising that watersports are abundant and immensely popular with Harbour Town guests, and newcomers will find plenty of ways to enjoy the great outdoors. For an adventure with a little excitement, visitors can take to the skies via the local parasailing business, or hop aboard the six passenger banana boat for a splash-filled wild ride on the water. Jet Ski, kayak, and stand-up paddle board rentals are all available for folks who want to cruise at their own pace, and Harbor Town even offers water-skiing and power boat rentals for a higher-octane soundfront excursion. Folks who would rather let an expert take the wheel can also embark on sailing tours of the island, dolphin watches, enviro-tours of the wild surroundings, or a fishing charter for exceptional deep sea catches. All of these watersports options are generally easily found along the water's edge, and visitors with a specific activity in mind are advised to call ahead and make advanced reservations to secure their spot. 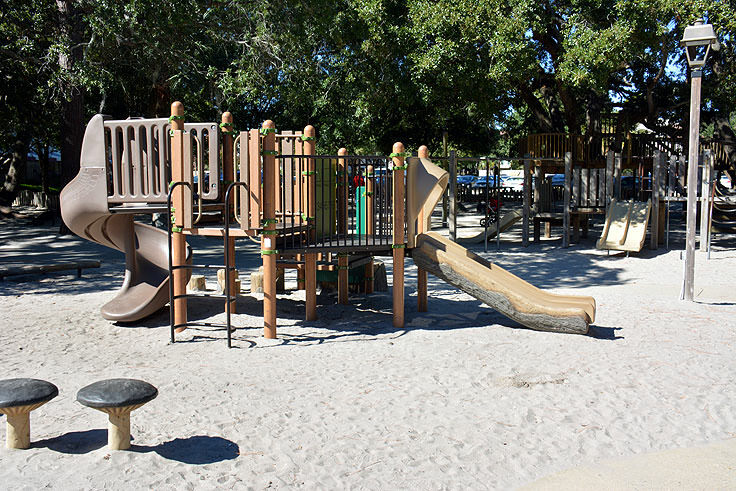 A complete list of options available, (as well as contact information), can be found online at https://www.seapines.com/resort_activities/harbour_town/recreation-and-activities.aspx#Water%20Sports. 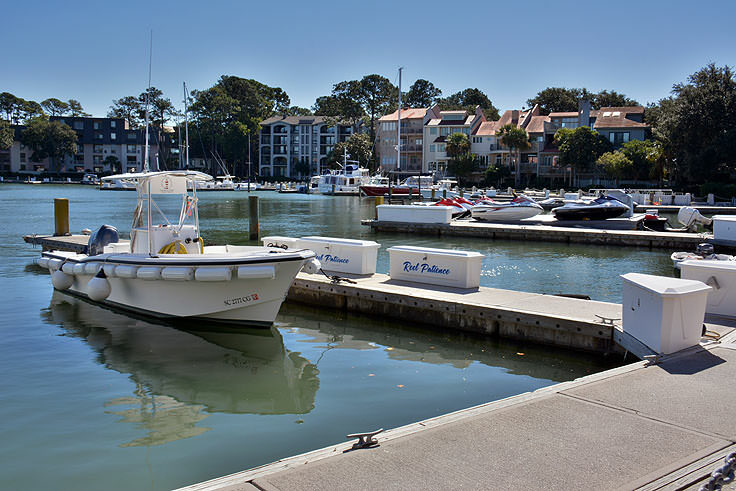 Because the activity in Harbour Town revolves around the large circular yacht basin, the marina is arguably one of the community's most used local amenities. 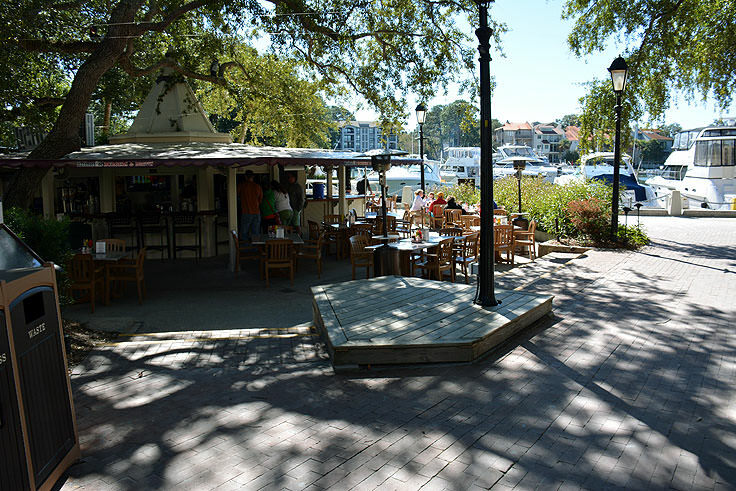 The full-service marina was constructed in 1969 under the direction of the Sea Pines founder, Charles Fraser, and was modeled after a famous similar habor in Portofino, Italy. 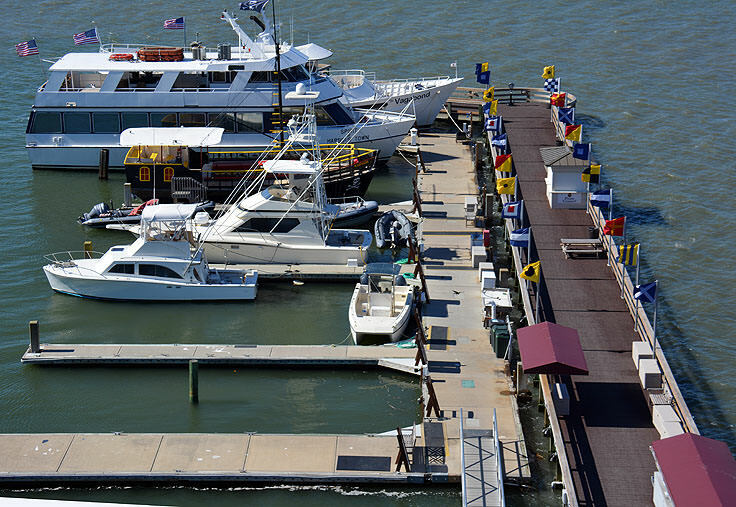 Dockhands are on duty every day to assist maritime visitors, and the marina offers a long list of amenities for its patrons, including gas and diesel discounts, car rentals and ships chandlery, and even daily local newspaper delivery right to the vessel. 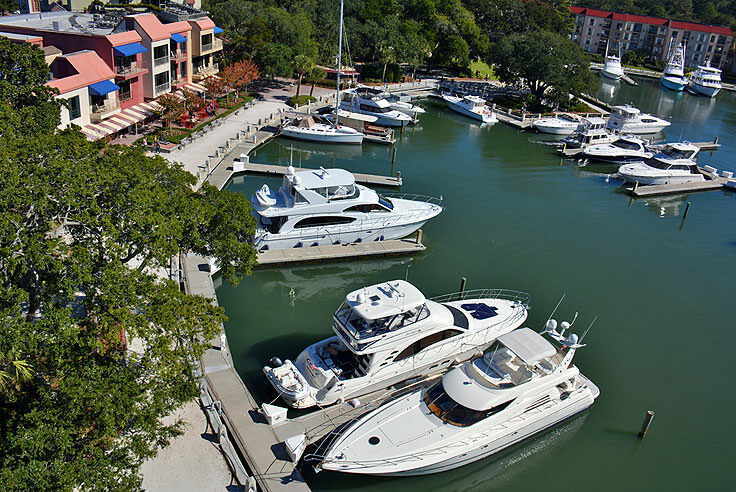 Mariners are welcome to stay for a day, week, or even a month, and a complete list of amenities and fees can be found online at https://www.seapines.com/resort_activities/harbour_town/harbour-town-yacht-dockage.aspx#rate. 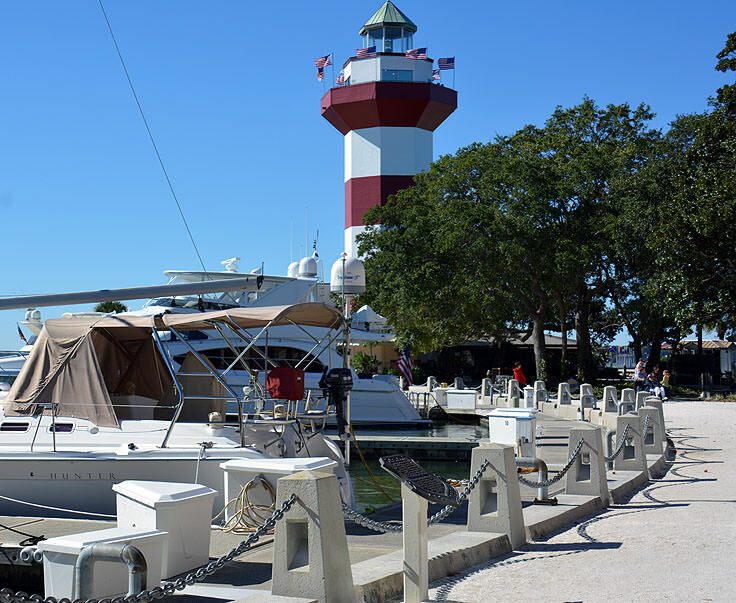 The star of the scene at Harbour Town, besides the open soundfront, is easily the Harbour Town Lighthouse, a boxy red and white horizontally-striped lighthouse that towers over the coastal scene. Built in 1969, the hexagonal column stretches into the sky at a respectable 90' feet tall, and features a white light which flashes every 2.5 seconds after the sun goes down. 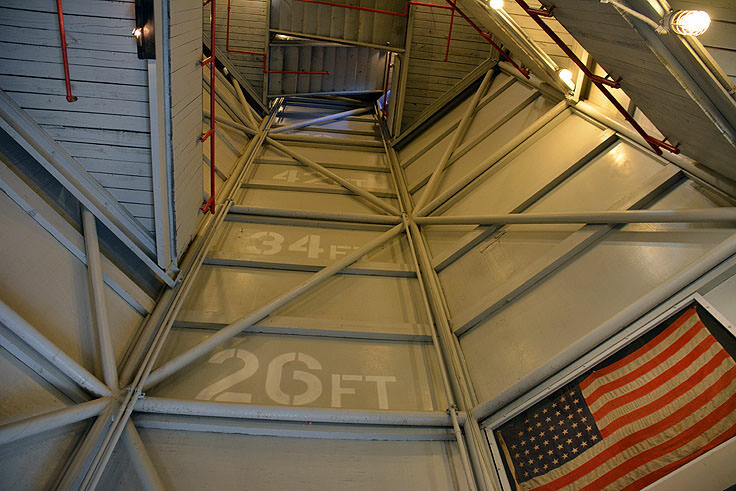 For a small fee, visitors can climb the privately-owned structure and enjoy expansive views of Hilton Head Island in virtually every direction. There's also a museum located nearby, stocked with local lifesaving history as well as lighthouse souvenirs. Harbour Town has risen to local prominence as the go-to destination for virtually everything fun under the South Carolina sun, and new visitors will have a blast exploring the varied shops and restaurants, the wealth of activities along the waterfront, and the stunning views of the Harbor Town Light and the surrounding Calibogue Sound. 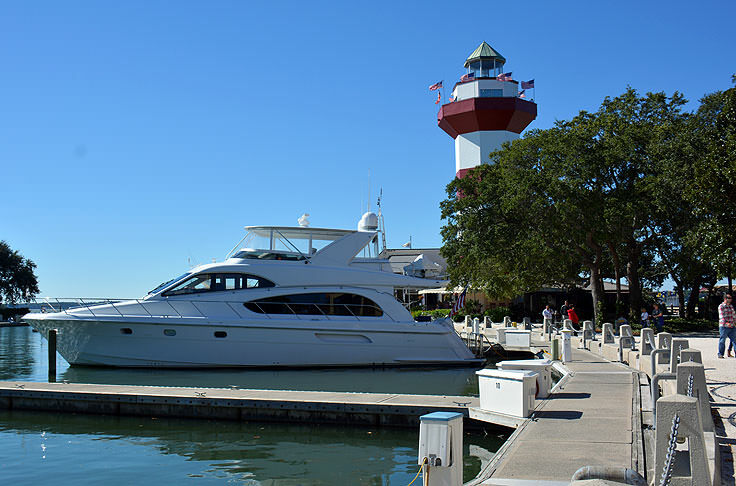 An entertaining destination for a day, a week, or even a long stay along the signature marina, the Harbour Town neighborhood is a great representation of Hilton Head's inherently fun, but slightly luxurious, coastal lifestyle.